How can my business benefit from a Cartoning Machine? If your business uses a carton in or as your product packaging, it is worthwhile to consider implementing this technology. But what specific automated cartooning machine technology is the right fit for your needs? 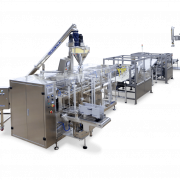 All cartoning machines are not created equal, but they do share the same ultimate goal of increasing efficiency and eliminating the taxing and time-consuming labor associated with forming cartons and filling product into them by hand. Cartoning machines, often referred to as cartoners, can be classified into two primary types, horizontal cartoning machines and vertical cartoning machines. Your style of carton, along with your primary product, and how it will be loaded will help to determine the machine that is best for your business. The process that cartoners cycle through can be broken down quite simply…. First, the flat folded carton will be loaded onto a hopper which then transfers it to a section of the machine where it is pulled apart and erected. After the initial erecting stage, product can be easily loaded into the open carton. Finally, the major overlapping flap of the carton will be secured and the filled carton will be discharged from the machine. 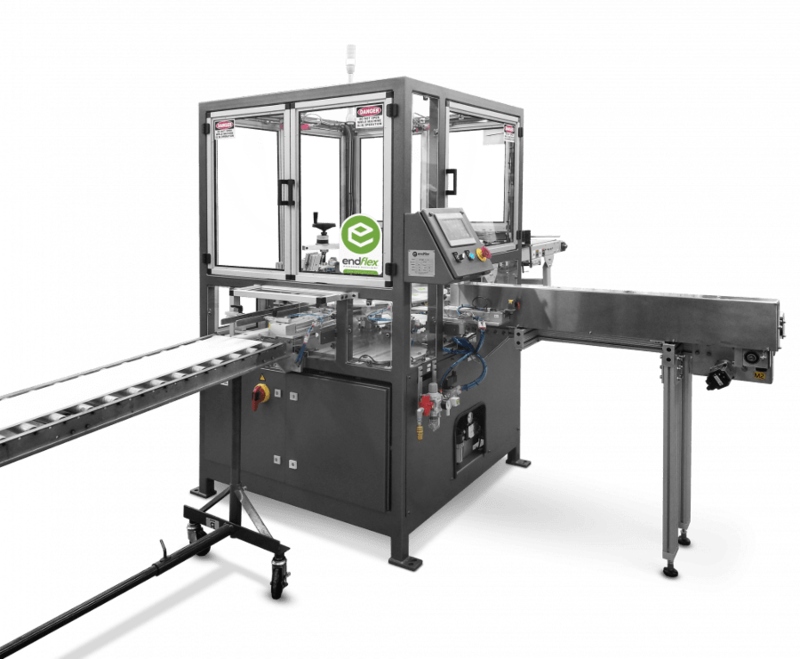 EndFlex manufactures a reliable, easy-to-use vertical end-load cartoning machine, the Kartnr. The Kartnr’s job is to form, load, and close cartons automatically. It has been engineered to handle small to medium chipboard cartons and is suitable for several different industry applications. While our standard model accommodates carton bottoms that are auto-locked, we also offer models for glued and tucked cartons. Reach out to our knowledgeable staff and let’s decide if the Kartnr can become your next new hire! 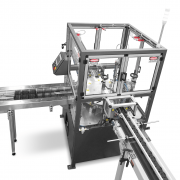 https://www.endflex.com/wp-content/uploads/2019/01/EndFlex-carton-forming-machine-and-container-inserter-slide3.png 741 900 Eaglepm Blog https://www.endflex.com/wp-content/uploads/2018/10/Endflex_Logo.png Eaglepm Blog2019-01-16 18:35:222019-03-12 01:18:15How can my business benefit from a Cartoning Machine? What is automatic case erecting? EndFlex is a USA based manufacturer of case erecting, tray forming and robotic palletizing technology with a diverse product line that includes the capability of forming and sealing corrugated trays and cases with glue, tape or thru self locking.